The Miami Dolphins defeated the Atlanta Falcons on Thursday evening, 34-7 continuing the fourth full week of preseason action in the NFL. Quarterback Brock Osweiler had a pretty solid performance to end the preseason. He completed 16-of-25 attempts for 147 yards and two touchdowns and the Miami offense looked smooth for the most part when he was under center. Rookie RB Kalen Ballage was strong in both the rushing and passing game. He carried the ball four times and gained 25 yards while he caught the ball three times for 37 yards with his longest reception being 18 yards. Jordan Lucas had a standout performance on defense. He recorded a sack, two tackles for loss and an interception to wrap up his final preseason game. He did everything he could to try and earn a spot on the Dolphins roster for the 2018 season. Kurt Benkert struggled to pass the ball in tonight’s action for the Falcons. He completed just 10 passes for 103 yards and he threw two interceptions. However, both of his interceptions were not really his fault. He was sacked three times as well and the offense could not get anything going with him at the helm. WR Reggie Davis struggled to catch the ball tonight. He found himself open quite a bit and dropped almost every target he got. This was certainly not the game he was hoping for. On defense, interior defensive lineman Garrison Smith had a solid game, recording three tackles, one sack and one tackle for loss to go along with two QB hits, while the defense as a whole struggled. Miami: The Miami offense looked crisp in tonight’s action and was the key to victory for them tonight. They were able to do what they wanted and that is a good thing to see as the preseason concludes. 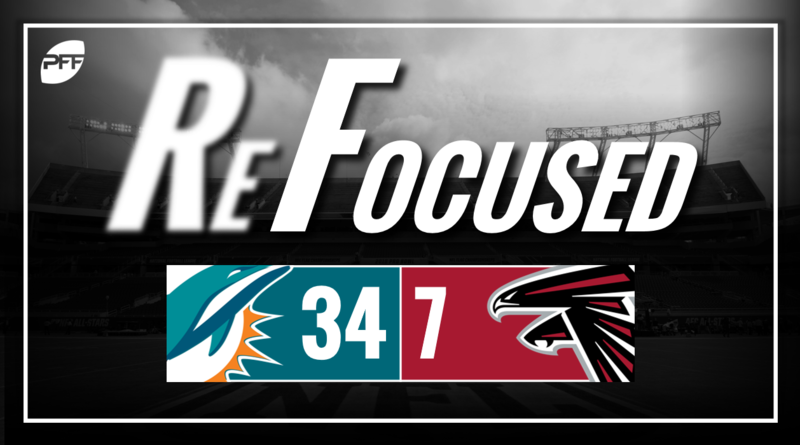 Atlanta: Both sides of the ball struggled for the Falcons tonight as they had a hard time getting anything going on offense and simply could not stop the Dolphins offense.